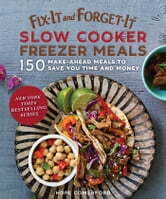 Make-ahead recipes you can freeze and then pop in your slow cooker for the easiest dinners ever. Imagine not having to think about what to make for dinner, not having to stop at the store for supplies, not even having to wake up extra early to prep everything for the slow cooker. . . . Doesn’t that sound nice? If you can set aside one afternoon a month to prep meals, this dream could be your reality. In this book you’ll find twelve recipes for every month, plus a handful of extras, complete with a shopping list to make your job even simpler. 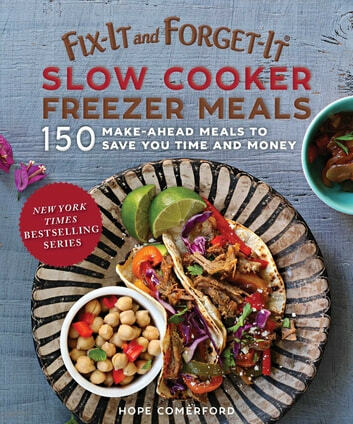 For twelve dinners every month, all you’ll have to do is grab the meal from the freezer, pour it in the slow cooker, and hit “start.” What about the other nights? Don’t worry, you’ll have leftovers! Or you can prep some extra recipes from one of the other months.